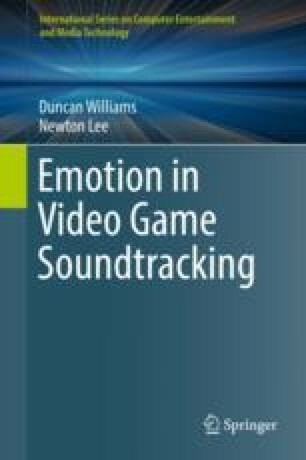 This chapter briefly explores another futuristic vision for videogame soundtracking: the automated selection and manipulation of existing soundtrack material. An early feature in the Grand Theft Auto series allowed players to use their own libraries of music in the car radio. Naturally this might be problematic if the musical selections of the players become incongruous with the gameplay narrative at a given point, but the feature was nonetheless well regarded and successful due to the fact that individual musical preferences are so powerful (hence, why different radio stations with genre specific preferences can even exist in the first place in the ‘real’ world). Of course, the Grand Theft Auto example benefitted slightly in terms of immersion as, just like in the real-world, the player might have less control over the exact selection of music which appeared on their radio regardless of the necessary soundtracking.